Edward F. Kealy, Esq. joined Catania, Mahon, Milligram & Rider, PLLC as an associate in August 2015. Edward earned his bachelor’s degree from the University of Delaware in Political Science and History and earned his J.D. degree from Pace Law School. While at Pace, Edward helped to launch the Pace Intellectual Property, Sports, & Entertainment Law Forum, an online publication for legal articles examining current issues in IP, sports, and entertainment law. He also cofounded the Pace Exposition on Intellectual Property, Sports and Entertainment Law, an annual event that brings together students and top practitioners to discuss emerging issues in those fields of law. Following law school, Edward joined the Corporate Investment Bank JPMorgan Chase. As an associate, he performed enhanced due diligence for client onboarding to ensure compliance with Anti-Money Laundering regulations. Edward is admitted to practice in New York and New Jersey. 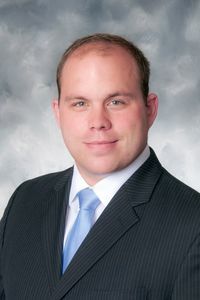 He is a member of the New York State and Orange County Bar Associations, as well as the Women's Bar Association of Orange & Sullivan Counties.